Steam green beans until tender. Remove from pan, drain any extra water and set aside. Sautee pressed garlic and almonds in oil combination on medium-high as to not burn the garlic. 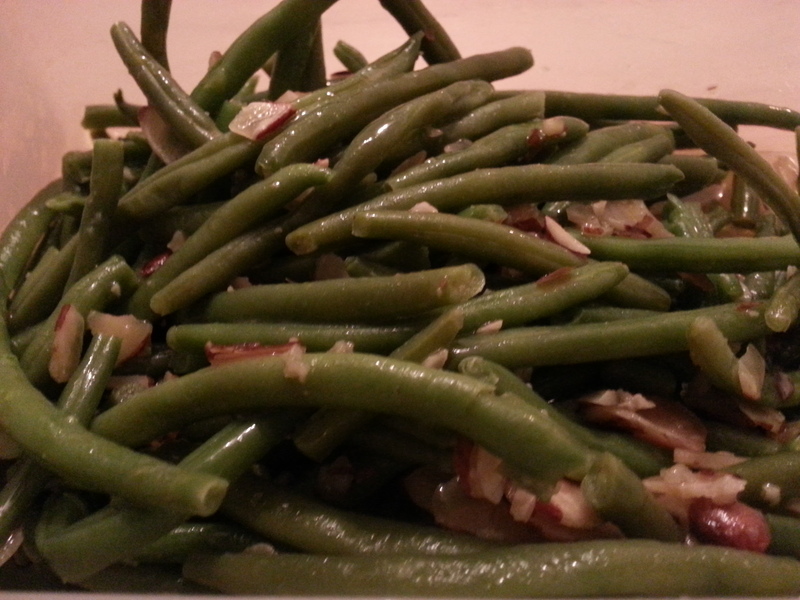 Add in green beans and toss together. Serve immediately.